Despite a national trend of decreasing Mass attendance and shrinking parishes, bright spots of hope can be found in the vibrant, active and growing parishes that do exist across the United States. A new parish, St. Clare of Assisi in Daniel Island, South Carolina, founded in 2014 shines as a point of hope. About 800 households of 2,300 individuals currently meet in the local Catholic high school gymnasium while the plans to construct the church building are underway. Parishioners have raised $14 million of the $15.6 million of the project cost in a mere 18 months. The pastor, Father Gregory West, attributes part of the growth of the parish to the population boom happening in the Charleston region, which is growing three times faster than the U.S. average. “The fact that we’re a new parish means that we’re doing things a little bit differently than many other parishes. We’re thinking outside of the box a little bit,” Father West said, pointing to the parish’s emphasis on using technology. Because young people are shopping for parishes and don’t necessarily have the “Catholic brand loyalty that our parents did” even small gestures like a “New here?” tab on the parish website can make a difference, he said. “We have to be on the edge, at the front of things, to be as welcoming and inviting as we can,” Father West added. A spirit of welcome can also be found at St. Paul Catholic Center at Indiana University Bloomington. “St. Paul’s has always prided itself in being a very welcoming parish, so we really go out of our way to welcome people to the parish,” said Dominican Father John Meany, the pastor. Both a Newman center and a parish of 500 registered households, the center sits surrounded by fraternities, sororities and athletic fields on a campus of more than 43,000 undergraduate and graduate students. During the school year, Mass attendance averages between 1,200 and 1,300 for six weekend Masses. Apart from Mass, both students and parishioners can find a ministry or activity to tap into: Bible studies; retreats; book clubs; Teams of Our Lady, a ministry for married couples to meet in small groups; free Sunday student suppers; and both a Latino and Korean community. Father Meany sees the growth of the center as a result of its hospitality, the availability of the sacraments, the number of daily and weekend Masses offered during the academic year, FOCUS missionaries and the presence of three priests on staff. In an area of the country with large numbers of nonbelievers, St. Joseph’s Parish in Seattle has seen gradual growth in its numbers. In 2012, Mass attendance averaged 863; in 2014, it grew to 1,004; in 2016, it bumped up to 1,063; and so far in 2018, attendance has averaged 1,113. Deacon Steve Wodzanowski, the pastoral associate, sees part of the attraction to St. Joseph’s in its Jesuit outlook. “We’re always looking for how we can serve what they call the ‘magis,’ the greater glory of God in the world,” he said. 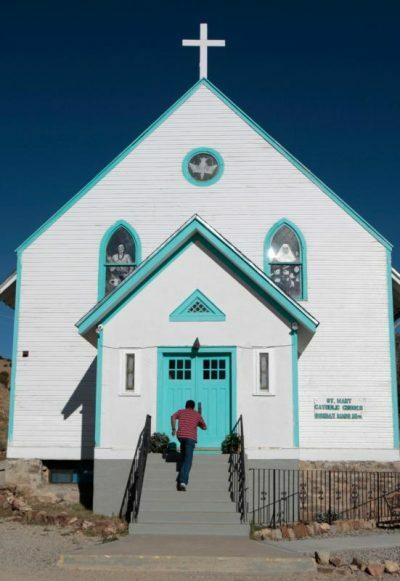 The parish doesn’t shy away from integrating faith into the issues of the day, whether its holding memorial services after gun shootings, hosting listening sessions and conversations on topics like racism, or creating awareness about migration. “Right now, we have a big display in our church. We’ve used our sanctuary very creatively, we’ve put up stories about refugees and immigration,” he said. But for a parish to be truly vibrant, it must accompany as well as challenge its members. “It’s the little things that people do for each other that I feel like people in the pews are watching every weekend,” Deacon Wodzanowski said. NEXT: Mass attendance is down again — but among whom?